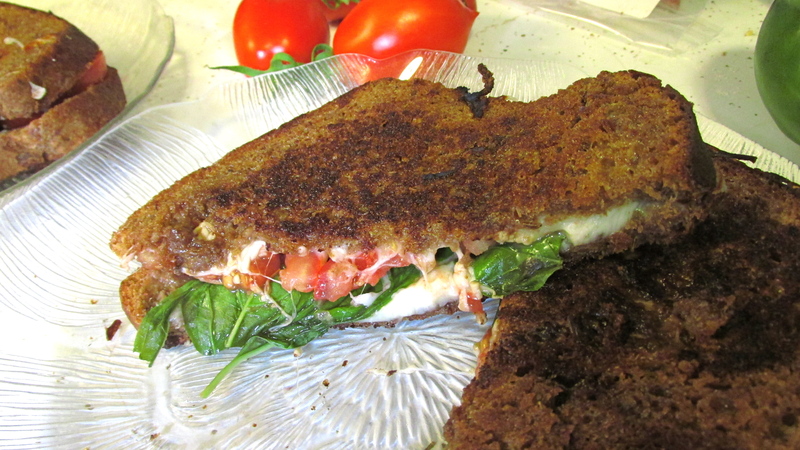 Anyhow, tonight I invited my dear friend Stefanie over for what I like to call “Capresey Grilled Cheesey!” It’s like a caprese salad, but on bread, and grilled. One of my favorite ways to jazz up this american classic. Start with slicing your tomatoes. 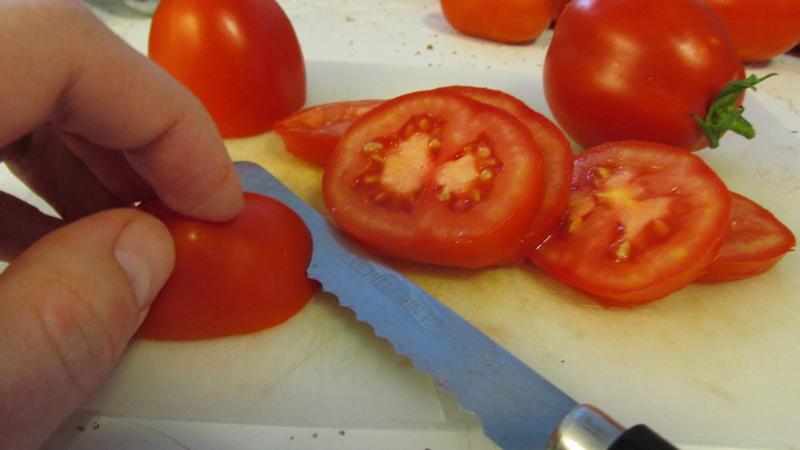 Go Pro Tip: Always use a serrated knife and a gentle sawing motion to cut your tomatoes; you’ll be amazed at how easily it pierces the skin and glides right through. When you’re getting to the end, lay the tomato flat on the cutting board, and slice horizontally. Watch out for your thumb when you get to the edge of the tomato. 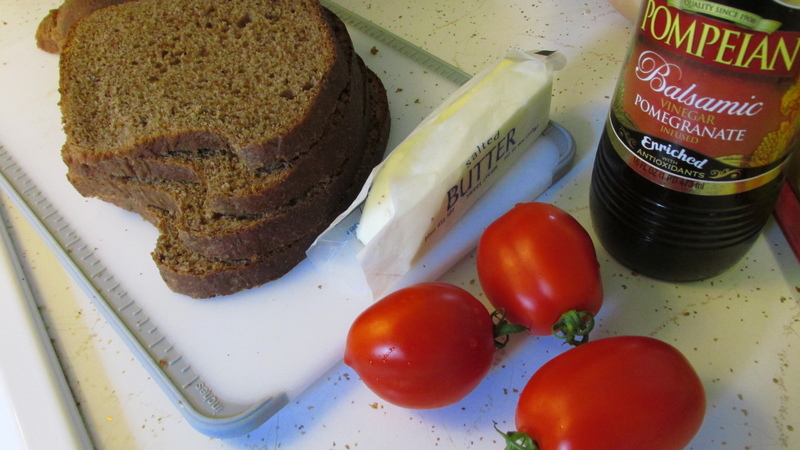 Now butter one side of each slice of bread. 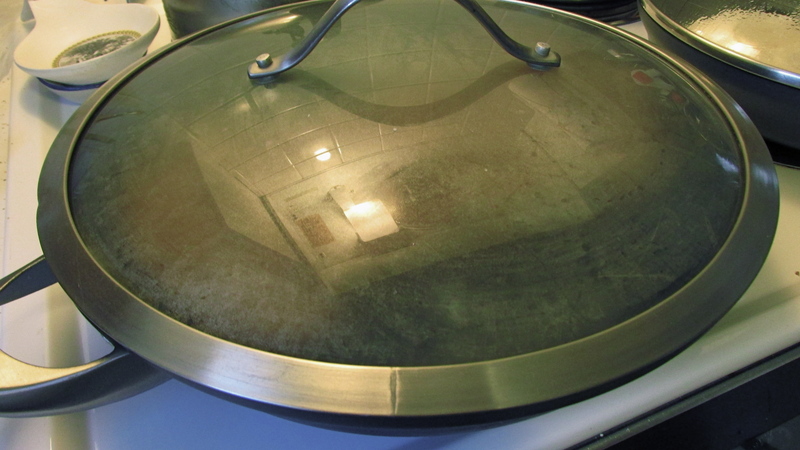 Put a medium to large (depends on the size of your bread) non-stick skillet on your stovetop, and set the heat a smidge above medium. 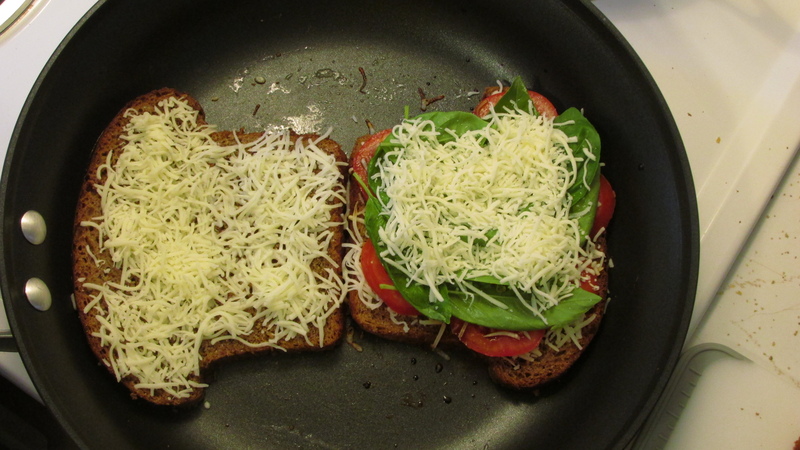 Time to start assembling that sandwich! First lay down two slices of bread, buttered side down. 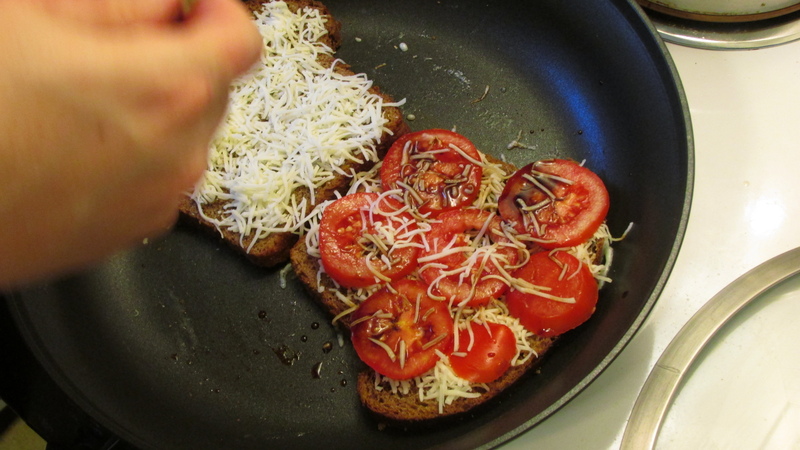 Layer a generous heap of mozzarella cheese, then a single layer of tomatoes. Splash with balsamic, dash with salt, do the cha-cha. 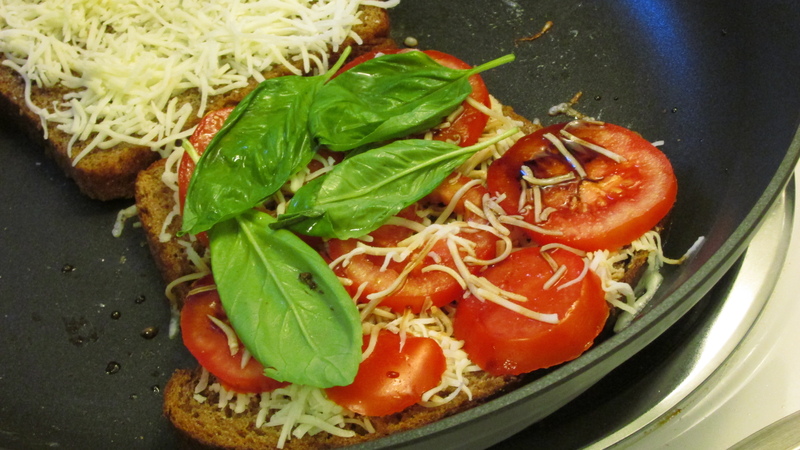 Now add a conservative sprinkling of just a little more cheese to help the basil stick to the tomatoes. You don’t want your two halves winding up in divorce. This is a marriage of food, folks. What the chef has joined together, let no spatula slide apart. 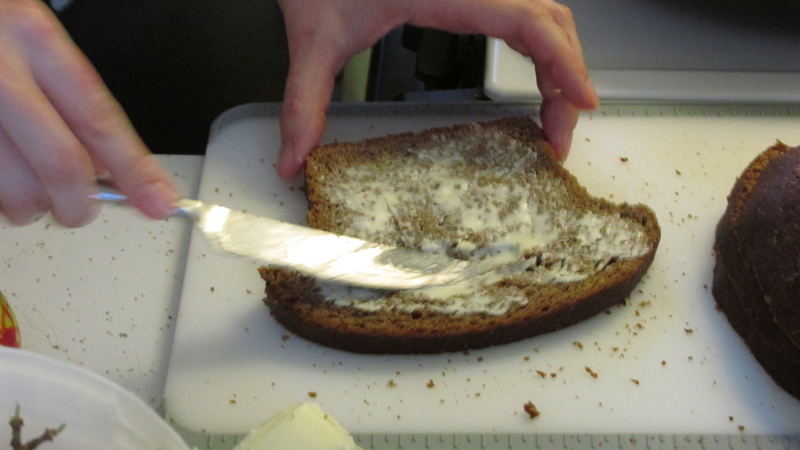 Take your other slice of bread, and put it on top, buttered side up. I’m a notorious peeker. And flipper. Just like the monkeys at my circus. Wait a few minutes, flip ’em. If they’re not perfectly grilled, that’s just fine. 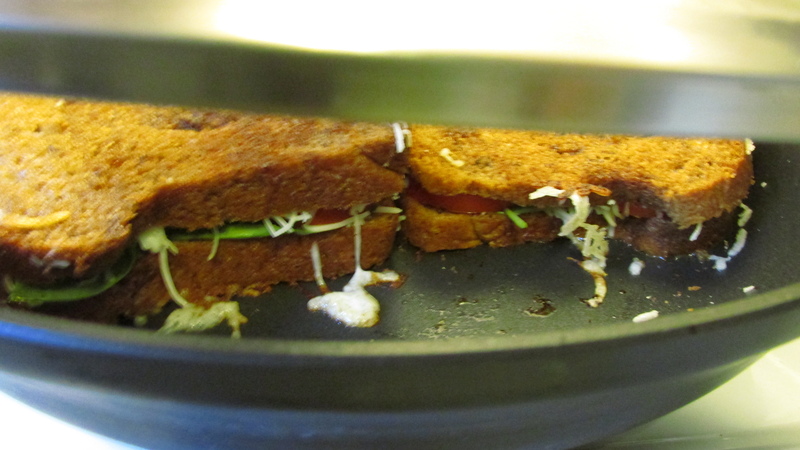 You can flip them again, better to flip too soon and have to flip again than to flip too late and have “reduced calorie” (read: scrape off the burnt parts) grilled cheese. Once they’re done, slide these beauties onto a plate, cut in half, and try not to burn the roof of your mouth when you eager-beaver bite into it. Seriously. Burnt mouth-roof will totally detract from the amazingness of this masterpiece. And the best way to really class it up? Enjoy it on the couch, at the lift-up-coffee-table (ours is identical to this one, and I absolutely love it – best garage-sale find ever), while watching the Muppets. 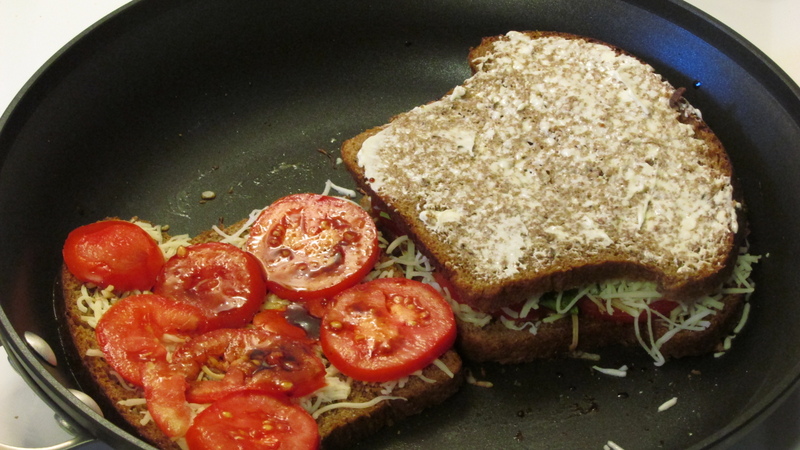 Posted in Main Dish, Quick & Easy, Uncategorized, Vegetarian and tagged balsamic vinegar, basil, butter, rye bread, shredded cheese, tomato. Bookmark the permalink.